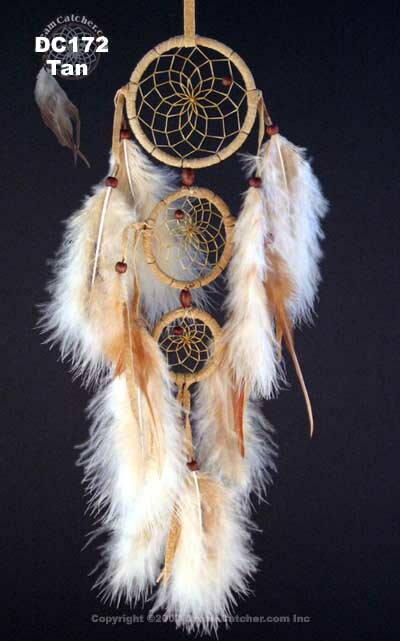 This 3 tiered Dreamcatcher has a 2.5 inch dreamcatcher on top, a 2 inch center dreamcatcher and a 1.5 inch dreamcatcher beneath. 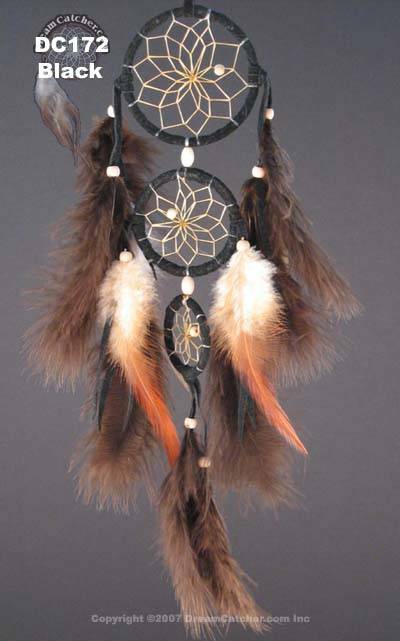 Each tier is graced with beautiful feathers capped with wooden beads on leather. The feathers on this piece are incredible. 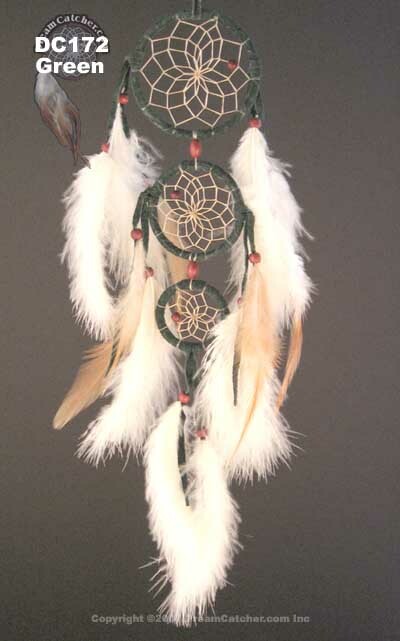 This dreamcatcher is approximately 16 inches long when hung.